God's Best Gift: Should you try colonix? 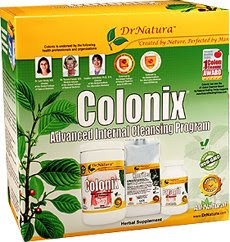 For those of you who have never heard it, Colonix is a colon cleansing product made by a certain Dr. Natura. I also read that they were the first one to market a colon cleanser like this one. As far as I know this is not a diet pill but many reviews from the internet said that they lost pounds, maybe because it acts as a cleanser thus it flushes toxins out of our body. There are lots of colon cleansing products out there right now, if you’re contemplating to take one, I suggest you read all the reviews and facts about it. There are many bad reviews about colonix but then there are good reviews too. So I guess it all depends on you.